A new biography of Lord Shaftesbury was launched today – the first for over 20 years. 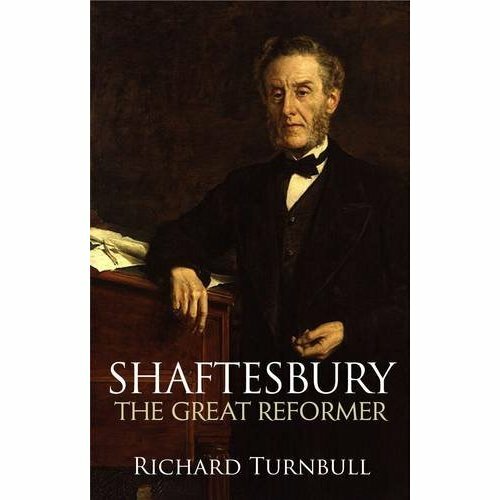 Shaftesbury (1801-85) was the driving force behind reforms to the conditions of mental health patients, factory workers and child labourers. He was one of a number of campaigners for whom faith was not just a private ‘hobby’, but a driving, motivating force. They looked at the world around them and saw huge injustices and needs. They could have prayed for the salvation of the souls of the children working down mines and up chimneys, to give them hope for the life after their (inevitably early) deaths, but they didn’t. This is a question I’ve been wrestling with (at a low level) over the past months. Which is more important – prolonging and easing lives, or saving souls? When sick people came or were brought to Jesus, he very often started by forgiving their sins, and only went on to healing their diseases and disabilities almost as an after thought. Surely his example must be the right one to follow? Winning hearts and souls sometimes means tending to bodies first, in order for the whisper of God’s love to be heard over the screams of physical need. I’m still trying to figure this out, but in the meantime I’m doing my best to learn from the lives of those who did have a handle on it. I’ll keep you posted. And I’ll post a review of the book when I’ve read it.